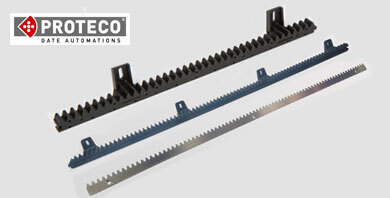 Proteco Sliding Gate Rack - Compatible with all Proteco sliding gate motors. Rack suitable for Nice sliding gate automation. 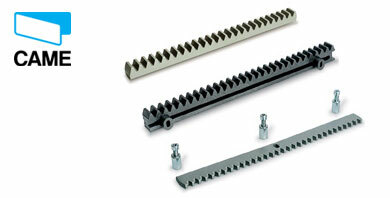 Available in Nylon or zinc coated in 1 metre lengths. 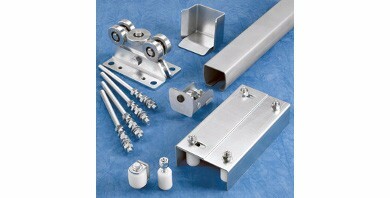 Rack suitable for Came sliding gate automATIon. 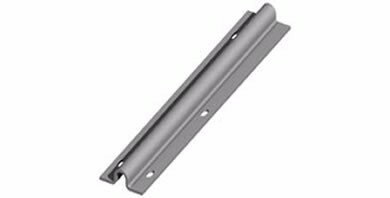 Available in Nylon or galvanised steel in 1 metre lengths. . Rack suitable for BFT sliding gate automation. 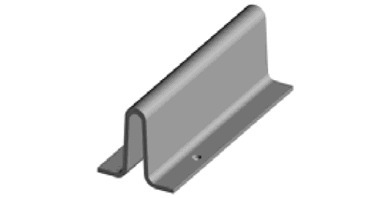 Available in steel, galvanised steel and plastic in 1 metre lengths. 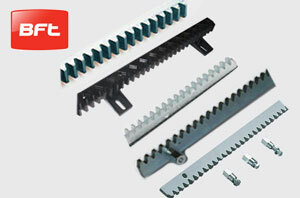 Rack Suitable for FAAC sliding gate automation. 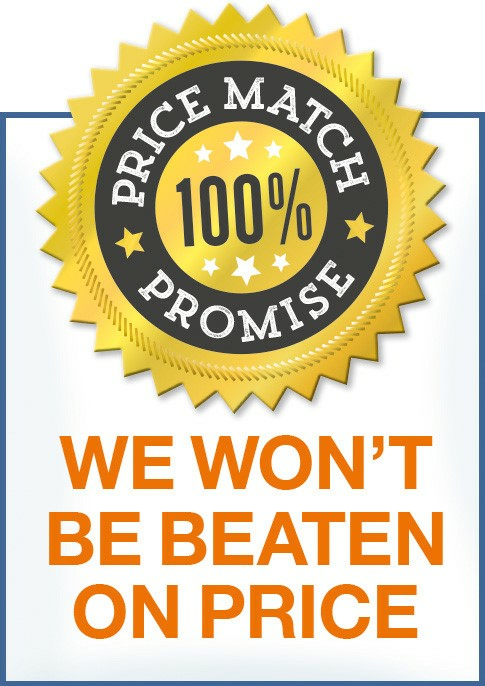 Available in nylon or galvanised steel in 1 metre length. 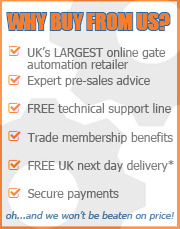 Our Cantilever Gate System is designed for applications where sliding gates are required but the installation of a ground track is not possible or desirable. 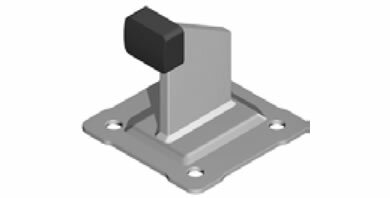 A galvanised floor mounted Sliding Gate Limit Stop on a drilled plate for use with sliding/rolling gates. This unit allows you to control the amount of travel on the gate leaf. 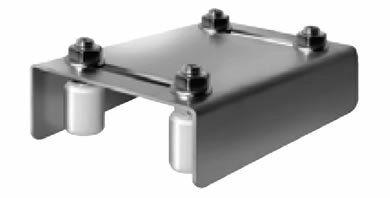 An adjustable galvanised Upper Guide Bracket. For use with sliding gates. 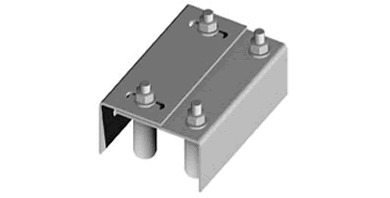 An adjustable upper guide bracket for use with sliding gates. A Sliding Gate Safety Strike which 'catches' the sliding gate at the end of it run. 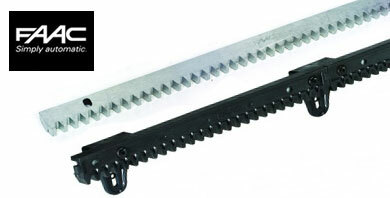 A single Galvanised Half-Round Drilled Track for Sliding Gates - 3 Metre length (20mm Diameter). Fixed to the ground so the sliding gate wheels can move across it. 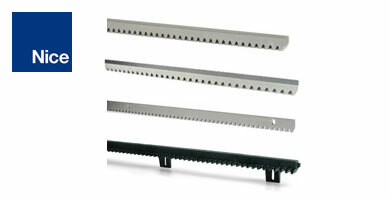 A single Galvanised Drilled Rail for Sliding Gates - In Concrete. 3 metres in length (20mm Diameter). 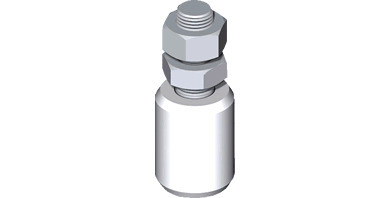 Designed for heavy-duty use. 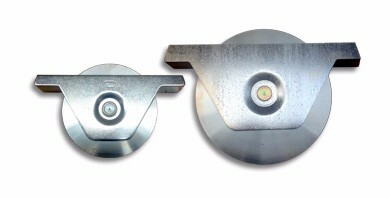 Internal mounted half round groove wheel with a 20mm profile for use in conjunction with 20mm half-round guide track. 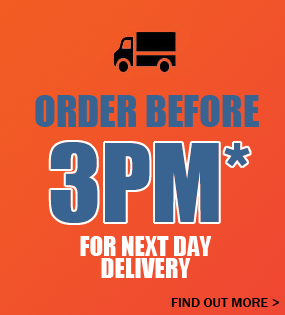 Three sizes/weight rated wheels available in the 20mm profile. 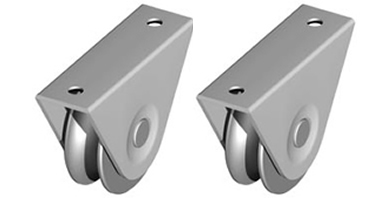 Half Round Groove Wheels with external support bracket for rolling along Sliding Track. Each wheel is individually weight rated, so buying multiple wheels spreads the load allowing greater weights to be support e.g. 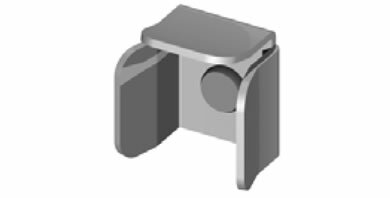 4 x 101/20 (200 kg) wheels can support an 800kg gate leaf. 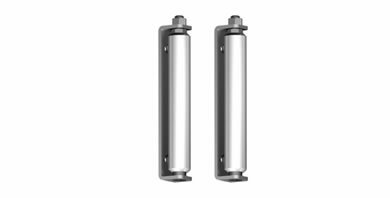 The Long Nylon Guide Roller is used for non-rectangular sliding gates - two of these rollers can be used to keep the gates upright.